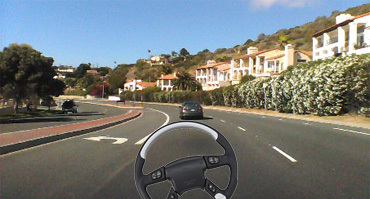 Integrating Human and Machine to augment reality. Teaching machines to see the world the way we see it. We're not describing each object to the computer. No more detecting lines, circles and textures. We just show our agent lots and lots of pictures and let it learn on its own. We do this using deep learning techniques, building neural networks with multiple convolutional layers, that can then be queried from portable or embedded systems. A work in progress, our quadcopter uses a Pixhawk autopilot, with an onboard computer that guides it autonomously. The possibilities are endless. 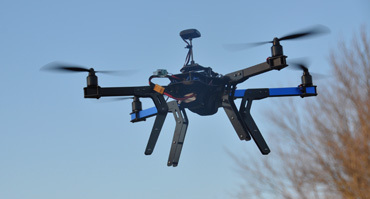 Use the front camera for obstacle avoidance, downward camera for navigation, GPS for creating flight paths, and more. 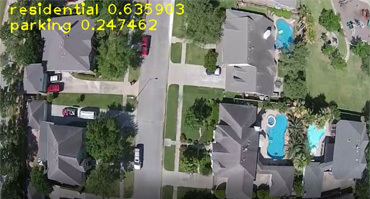 We trained the Inception convolutional network model to classify thousands of aerial images. Then by running inference on the neural model, we can accurately detecting the land features below the drone. This helps by identifying landing spots or safe flight corridors. In this case, we replicated Nvidia's "end-to-end" model, to train it on a driving dataset, in order to simulate steering a car in different road conditions. Using just a camera feed, without any other road sensors or image processing. We want to go big and go bold! Like every AI researcher out there, we're looking for the Holy Grail of technology - the AGI. We believe that with exponentially growing computing power and the endless availability of big data, the path is set and in the coming decades one of us will get there.